Kaitlyn jokes about being stalked by Hye Jin when she was looking for Baptiste yoga teachers to hire. Kaitlyn wasn’t looking for The Hot Room, but when she received an email from Hye Jin, she gave the studio a try. Kaitlyn took Hye Jin’s class one time, and was hooked ever since. Kaitlyn’s Hot Power Vinyasa class is motivating and empowering. Her approach is to never fear. You are capable of more than you think. 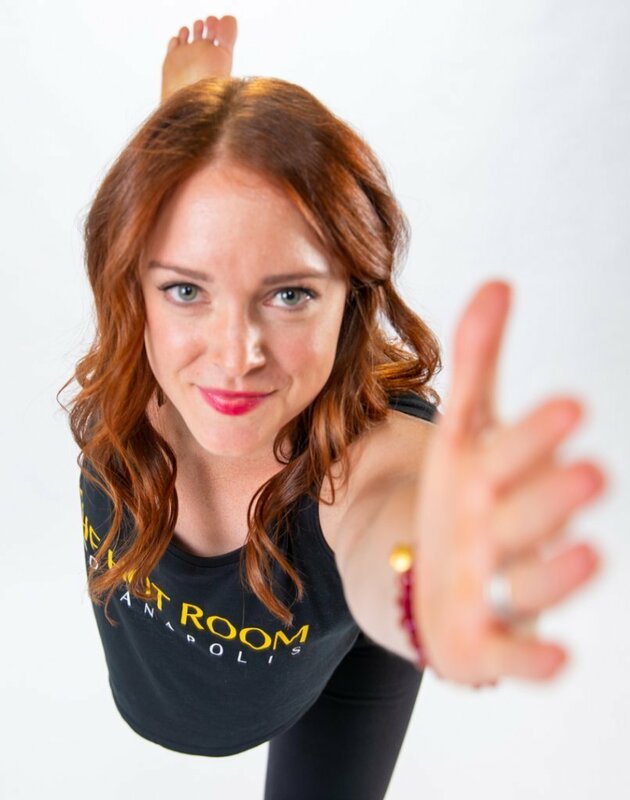 In addition to teaching, Kaitlyn and Laura Burdick support the Hot Room community through nutrition coaching under Stride10 Coaching in an effort to help The Hot Room community live their best life. Goddess. I love how strong it makes me feel. If I’m having an “off” day it can take me from feeling like a victim to feeling strong and confident within a few breaths. What do you do outside of The Hot Room? I love being with my husband and my two fur children, Zoey and Sonny. We love weightlifting together and eating our way through all the new restaurants in Indy.